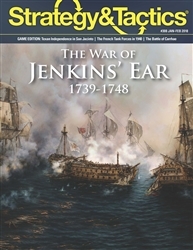 The War of Jenkins’ Ear is a theater-wide operational two-player game that simulates that last great clash between the English and Spanish empires in the Caribbean during the mid-1700's. 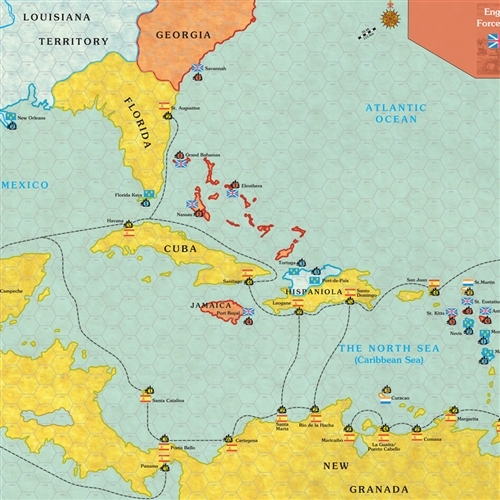 Before the American Revolution, control of the Caribbean was to be decisive considering the lucrative commodities that were available to be traded in the West Indies, and this game pits the superior naval might of the English against the long-established Spanish fortified settlements throughout the Caribbean. 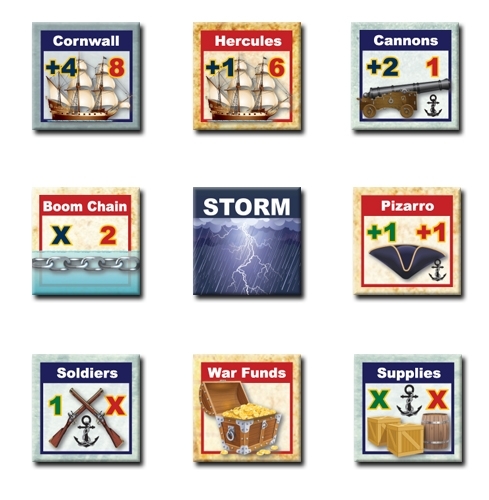 Though presented as a strategic setting, the game's combat mechanics are operational in scope and so every individual ship-of-line is included, every unit, and even the prominent admirals and leaders that fought during this little-known war. The War of Jenkins Ear is every bit as much a land game as it is a naval game, and players must manage production, defenses of their ports, and contend with the weather and the treacherous sea.